Were you sexually harassed, denied overtime, misclassified, retaliated against, or wrongfully terminated? If you were recently fired from your job and feel the dismissal was wrongful, contact Branigan Robertson. He is an employment lawyer and takes clients in Yorba Linda and throughout SoCal. Attorney Branigan Robertson has handles a wide variety of employment claims and lawsuits, but primarily overtime, harassment, unpaid wages, and wrongful termination. Mr. Robertson brings a unique perspective to his practice, and works fast to get the best result for his clients. He exclusively represents employees in workplace disputes. At Branigan Robertson, we aggressively protect the rights of employees in California. Because of our reputation for honesty and zealous advocacy, many of our clients come to us as referrals from other lawyers. Most law firms that represent employees work on a contingency fee. A contingency fee is where the fee is payable to the law firm only if there is a favorable result. In the law, it is defined as a “fee charged for a lawyer’s services only if the lawsuit is successful or is favorably settled out of court….” Contingency fees are usually calculated as a percentage of the client’s net recovery. Let us help you with your employment case. 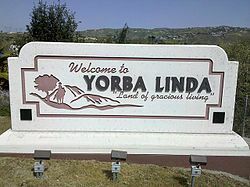 Call us or use our online contact form to get in touch with our aggressive Yorba Linda employment attorneys. We provide services throughout Orange County and Southern California.